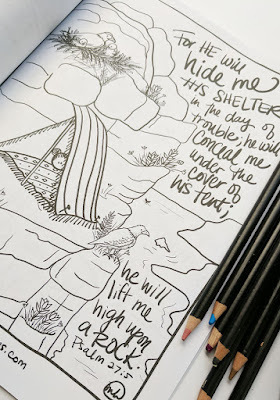 A free page from my new coloring book! Today's the day! 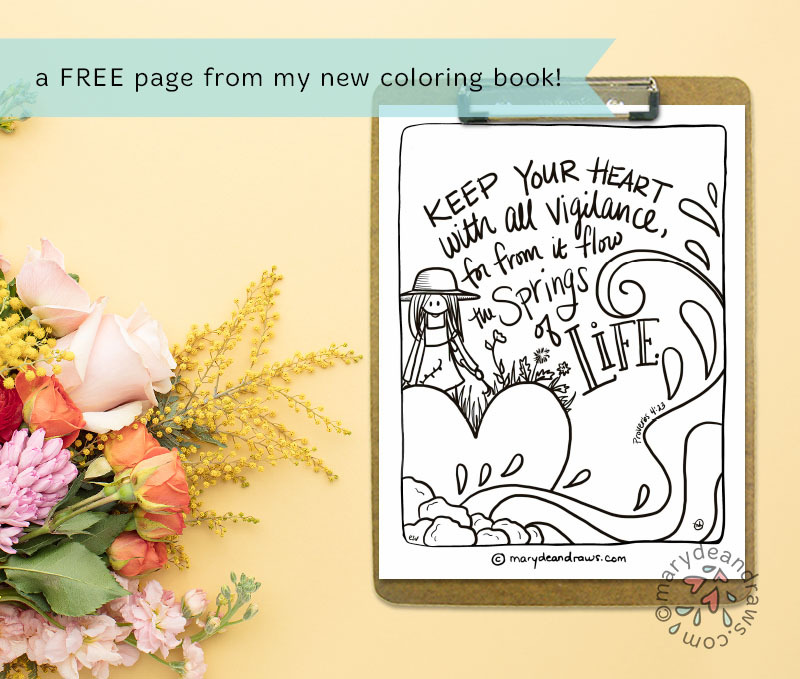 I'm so excited to share with you my my coloring book! 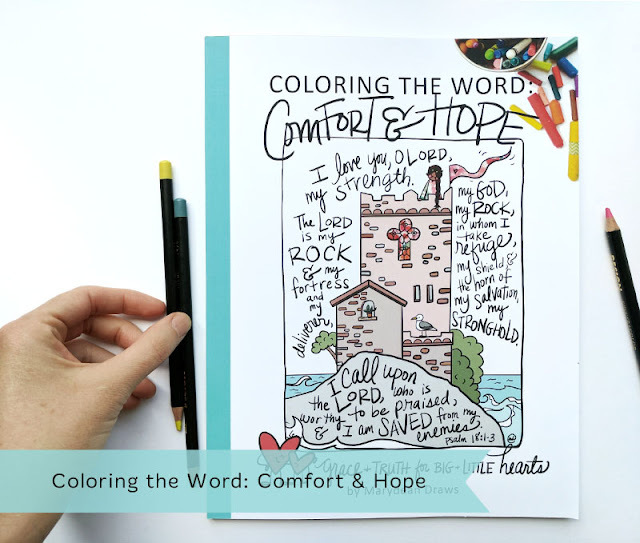 It's called Coloring the Word: Comfort and Hope, and I hope that it's the first of many. God has been so faithful to comfort me through Scripture, and I'm so excited to share a little of that comfort with you through my art. This is a book for those who are fearful, confused, tired, anxious, and feeling weighed down and alone. 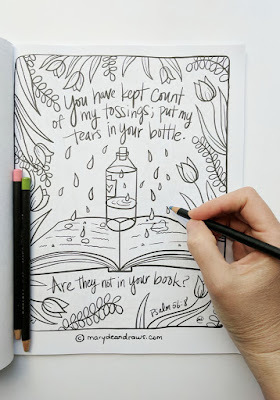 I find that when you combine art and Scripture, you're better able to rehearse the truths in the dark times because the images are linked to truth. And remembering truth is light in the darkness. I hope this book can be a little tool you can use yourself or pass on to a friend who may need encouragement. Today I'm sharing with you one of the pages from the new book. 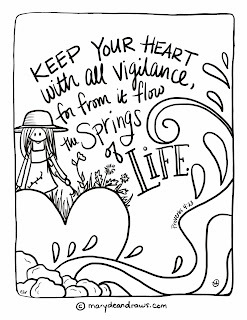 I love this proverb because it reminds me to tend to my soul, to pay attention to the "thoughts and intentions" of my heart (see verse below), because out of my heart flows my life. I find the heart is where the biggest battles are fought. 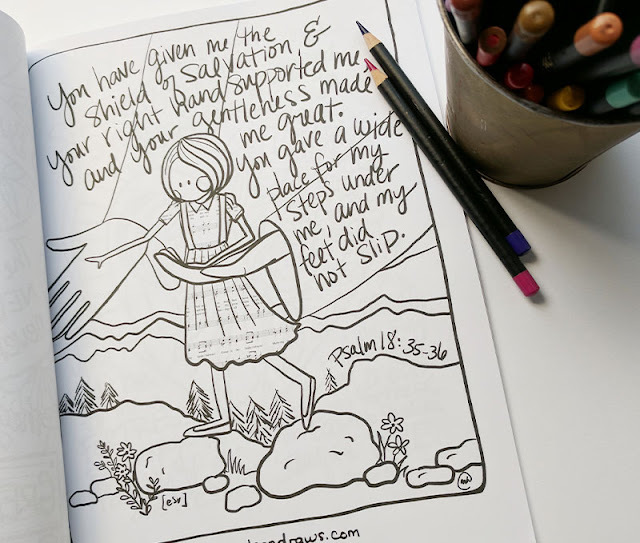 The book has 30 pages of winsome, fun, and meaningful black and white Scripture illustrations that speak comfort and hope. All Scriptures are in the ESV version (you can learn about this translation here). 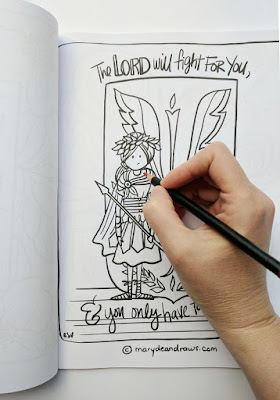 For a look at the whole coloring book, you can check out this video HERE. You can buy the book HERE. If you order one, I'd greatly appreciate you leaving a review so that I can be found in results when people search on Amazon! I'd love to see your colored pages, so feel free send me an email at mary@marydeandraws.com or tag me on Facebook or Instagram. I'd also love to hear any suggestions or feedback! If you prefer a digital version, I've added that to the shop HERE. I plan to add printed color card sets of this same art to the shop soon, so stay tuned! To download your free Proverbs 4:23 Bible verse page, click here or on the image below. 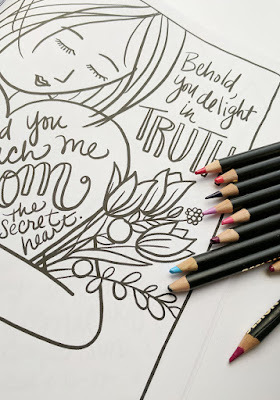 *I'm so happy for you to enjoy my coloring pages and printables for your personal (not commercial) use! Use for Bible studies, church groups or events, and Sunday school classes are all fine! If you're in doubt, I'm happy to answer any questions. All artwork and photos are copyright Marydean Draws. If you share this, you're awesome (! ), and as a courtesy, please link back to this post and not the PDF file. Thank you! !